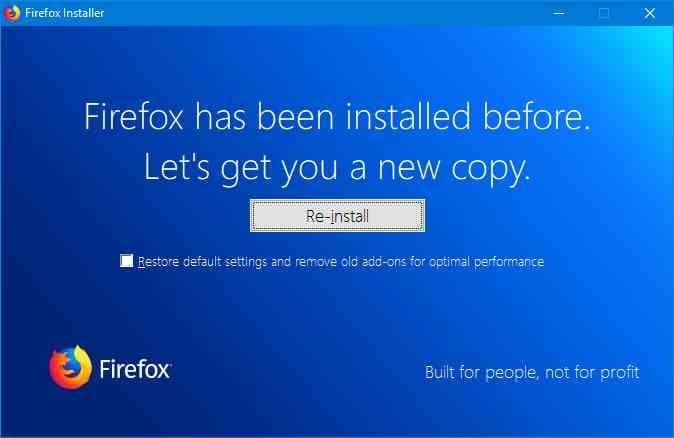 There are a lot of ways to fix issues with your Firefox web browser, but reinstalling the browser is the best and easiest way out there to fix all issues at once and make faster than before. 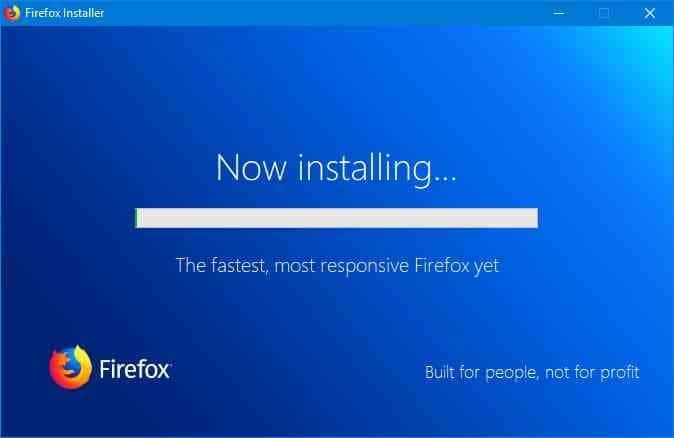 Like other third-party web browsers, although reinstalling Mozilla Firefox browser for Windows operating system is easy, users don’t want to delete their saved passwords, bookmarks, browsing history, cookies, and other data while reinstalling Firefox on Windows. The good thing is that you can reinstall Firefox on Windows 10 and earlier Windows versions without losing data. As you likely know, in older versions of Firefox (v30 or before), there would be “Remove my Firefox personal data and customizations” option while uninstalling the Firefox. The uninstaller no longer displays this option but doesn’t delete the profile data. 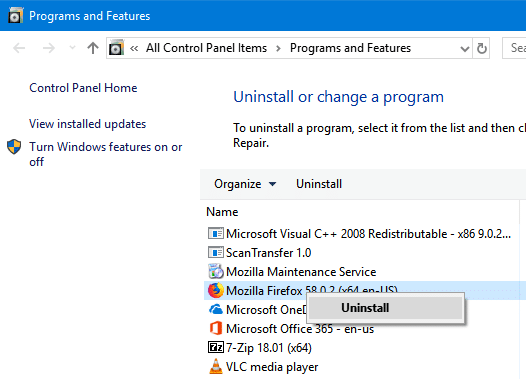 The thing is that the Firefox uninstaller doesn’t delete data from your Firefox profile folder (which includes important data such as passwords, history, bookmarks, and cookies) and you need to manually delete the profile folder if you want to remove these data from your PC. When you re-install Firefox on the same Windows installation again, Firefox starts using the data from that profile folder. In short, you are not deleting Firefox profile data when you uninstall it. Complete the given directions to reinstall Firefox on Windows 10 and earlier versions without losing data. IMPORTANT: We have tested this method with Firefox v59 and works great. However, we cannot guarantee the same for later versions! Just to be safe, we recommend you create a backup of Firefox profile folder to a safe location and restore the same folder if you find that something is missing after reinstalling Firefox (very very unlikely though). You can find the profile folder by navigating to C:\Users\UserName\AppData\ Roaming\Mozilla\Firefox. Copy the Profiles folder to a safe location. 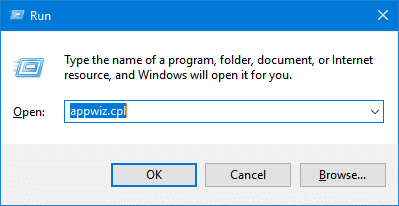 Step 1: In the Start menu search field, type Appwiz.cpl and then press Enter key to open Programs and Features window. Step 2: Right-click on Mozilla Firefox entry and then click Uninstall option. Follow the on-screen instructions to remove the Firefox from your PC. As said earlier, uninstalling Firefox will not delete the Firefox profile folder containing your crucial data such as passwords, bookmarks, and history. Step 3: Download a fresh copy of Firefox from Mozilla website. Run the installer. If you want to download the full setup, refer to our download Firefox offline installer guide. Step 4: When you get the following screen, uncheck Restore default settings and remove old add-ons for optimal performance option. Click Re-install button to complete the reinstall exercise. You can now check if all your passwords, bookmarks, and other data are present now. All data should be there as you left before. – In my case, in “Programs and Features window” after filtering Firefox I found I had 2 entries, one with an older version and another one with the most updated one. Both looked like were installed in the same location. So I selected to uninstall the greater version and the older entry disappeared as well. – I didn’t get the screen showing “Restore default settings and remove old add-ons for optimal performance option”. Instead of that as soon as I started Firefox, I got a bar at the bottom that was requesting my input to restore my settings. I click in the button and then hit cancel.